Hammock vs. Tent: Which One Is The Best To Use, And Why? Hammock vs. Tent: Which One Is The Best To Use, And Why? 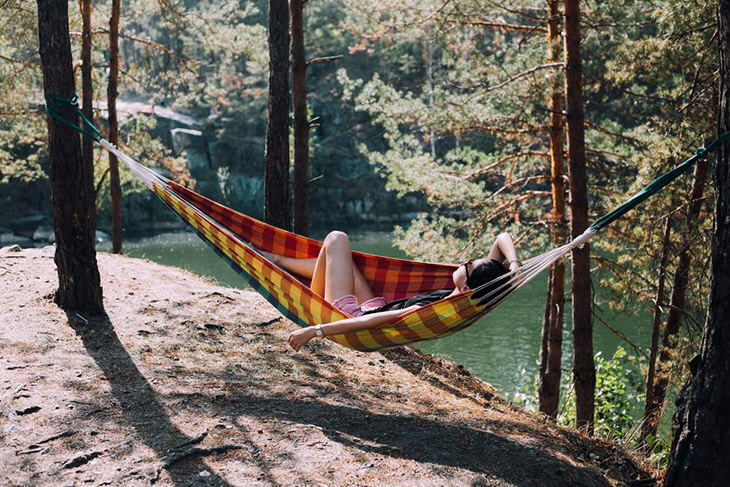 Home » Camping » Camping Tips » Hammock vs. Tent: Which One Is The Best To Use, And Why? Hikers and trekkers pride themselves in bringing the best trekking equipment they have. This equipment might be the lightest tent, the most functional backpack, or the most versatile layers. For outdoor enthusiasts, hammock vs tent, which one is better? Is the hammock more comfortable? Is the tent more protective? The question we’ll try to answer today has frustrated many a traveler. And for a good reason. Both hammocks and tents undoubtedly have their advantages. Additionally, both the hammock camp and the tent camp have their supporters – those who swear by each camp’s superiority. Both also have their detractors, eager to tear down anything good in the opposing camps. I’ll start the answer with this: camping is a wholly subjective experience. Hence, what may work for one may not be ideal for another? Similarly, I prefer the comforts of a hammock, and yet many cannot seem to get a good hour’s sleep in the floating nylon beds. Then, the opposite is also true. Many hikers swear by the tent and push hammocks aside as a fad. 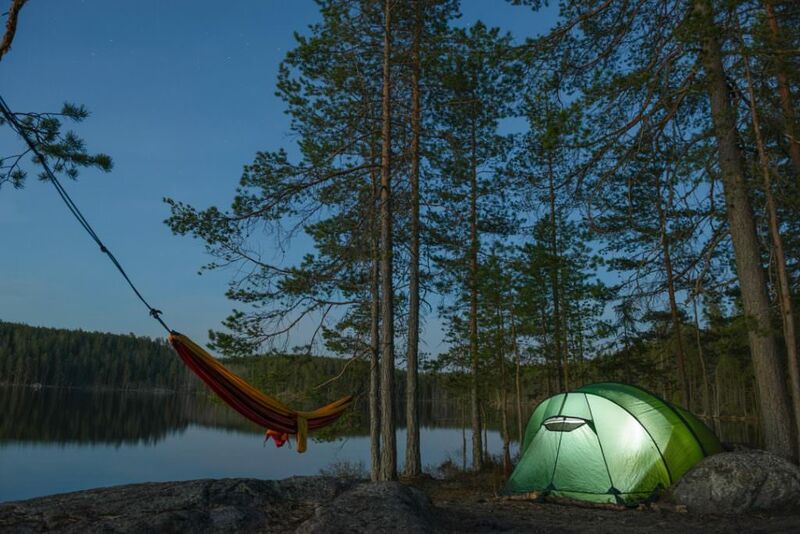 ​So, we’ll look at several critical categories characteristic of hammocks and tents. Then, with each group, we’ll try to be as unbiased and open-minded as possible. Finally, by the end of the article, you can decide for yourself which camp is better for you. ​Tents have been camping equipment far longer than hammocks primarily because you can set them up virtually anywhere. Some tents are even available for sheer cliff faces. The only limiting factor, then, would be space and your tolerance of different soil terrains. So, do you find yourself hurrying to make camp because of limited campsites? Also, will you be comfortable with the possible terrain on which you will be placing your tent? I’m sure you know it won’t always be flat ground with soft grass, leaves, or fresh loose soil. ​Hammocks, on the other hand, take no issue with campsite terrain since you’ll be lying on a hanging cocoon. However, you will need at least two trees (or sturdy supports) relatively close to each other to hang up a hammock. Hence, common sense dictates that taking a hammock instead of a tent up a bare mountain plateau is not the best decision. 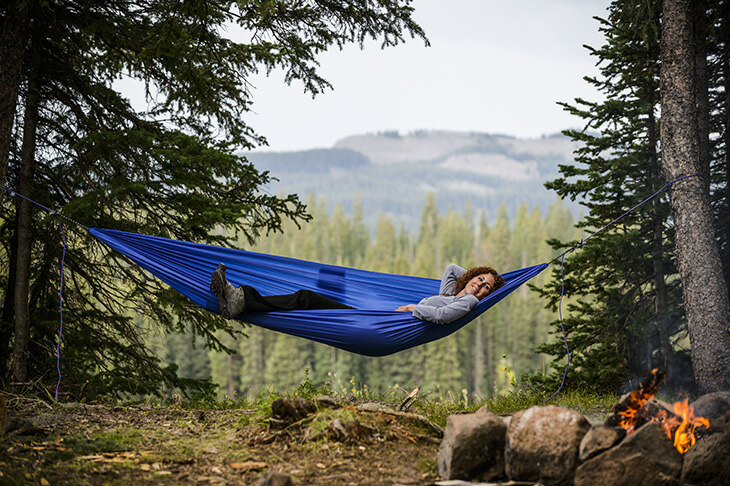 Nonetheless, whether it’s tough mountain rocks, muddy soil, or rough ground, a hammock will do very well, as long as you have the support systems. 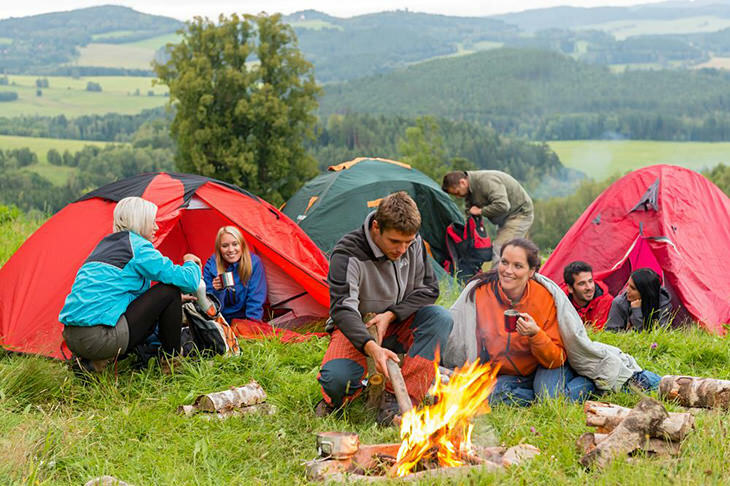 ​Camping trips and hikes can be quite the drain on your physical and mental resources. After what may be several hours of trekking, all you’d want to do when you reach campgrounds is to set up camp as quickly as possible. This same haste is often true as well when breaking camp. ​Now I’ve used both hammocks and tents. So, at least for this category, it seems safe to say that making and breaking camp with a hammock is the quicker option. ​This is particularly the case with particular hammocks that utilize lashing instead of rope wherein you can set up and take down in a matter of minutes (two minutes tops). Meanwhile, tents will always take more time setting up and taking down, whether you’re a camping veteran or a curious beginner. 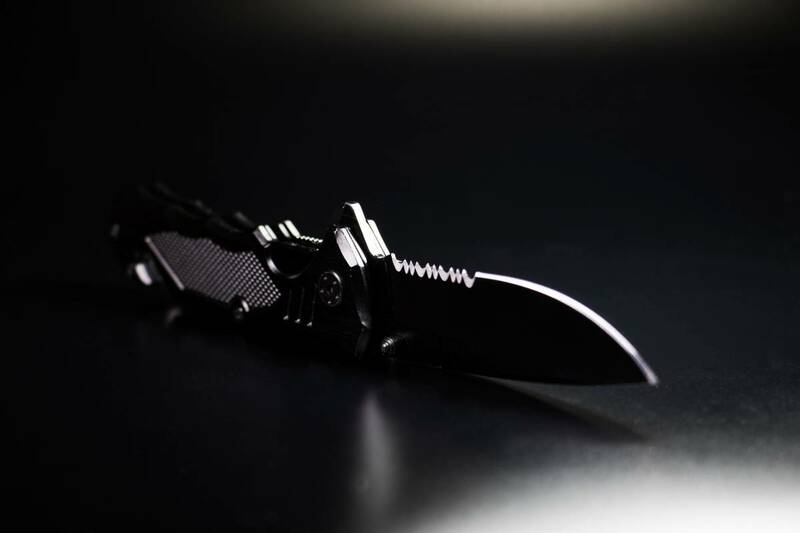 Throughout history and prehistory, humans have sought out shelter as a protection against the natural elements, wildlife, as well as from each other. ​Also, through all those years, we’ve come to understand shelter as a structure with a roof and walls as well as entryways that we can choose to close or open to the world. ​Similarly, hammocks and tents are portable forms of shelter. This idea is why I’m moved to say that tents are superior when it comes to protection against the same elements our ancestors faced–inclement weather, animals, and dishonorable people. This security is real even when it only makes you feel protected since the thin walls of tents being as they are. 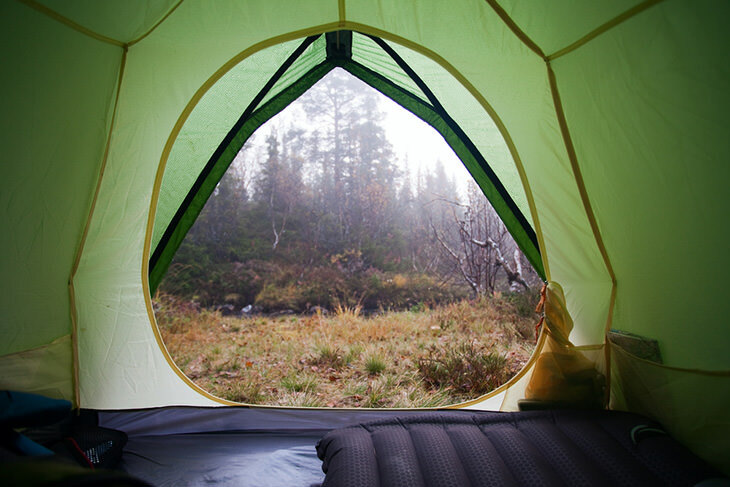 Although tent flys, tarps, or mosquito nets may improve a hammocks protective capabilities, it will never feel as enclosed and as secure as a tent. ​Now, we’ve come to the most significant category: comfort. This time, however, I won’t cite history or individual strengths and weaknesses. Personally, though, the lack of pressure points on a hammock means a more restful sleep and a more refreshed body the next day. However, like camping, comfort is also very subjective. Believe it or not, many people prefer firm and level ground over a floating cocoon of cuddled comfort. Why not use both? Indeed, innovations in camping gear have made both tents and hammocks exceedingly easy to bring on trips.